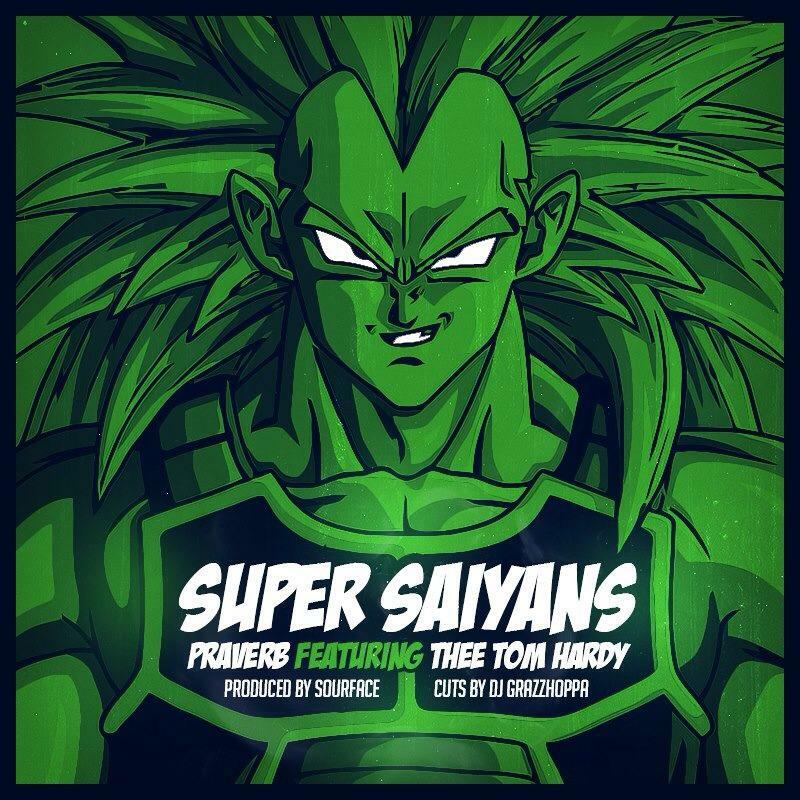 “Super Saiyans” was pieced together by UK beatmaker Sourface. Sourface recruited Virginian Praverb the Wyse and North Carolinan Thee Tom Hardy who channel Vegeta and Goku on this track. Thee Tom Hardy, a mild mannered emcee from North Carolina, transforms into a rash individual bent on proving his naysayers wrong. Praverb, a Bible thumping Virginian, transforms into a vengeful battle rap phenom. The two super charged emcees attack the soulful sound of Sourface with a barrage of bars. Belgium Dj, Dj Grazzhoppa, adds the final touches to song with his deft scratching.